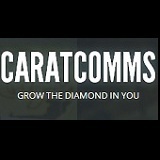 Caratcomms is a CREATIVE and STRATEGIC company specialises event management and modelling. We are also one of the top modelling agency in Malaysia provide marketing consultancy and event management services according to the current trend. We specialise in event based marketing plan and marketing strategy, modelling events, promotional activities and B2B marketing. We provide local and international models to events and advertisement. Work with passion and creativity, our team are creative in ideas and solutions. Caratcomms aims to be the top player in the local and international market as in the event management and modelling industry creating career opportunities beyond the border for aspiring young talent and models. Event Planning, Modelling, Event Marketing, Experiential Marketing, Branding, Strategy, Talent Management, Modelling, Sponsorships, Advertising, B2B Marketing, Image Grooming and Online Marketing. We provide models/talents for events, advertisements, exhibitions, promotional campaign and TVC.